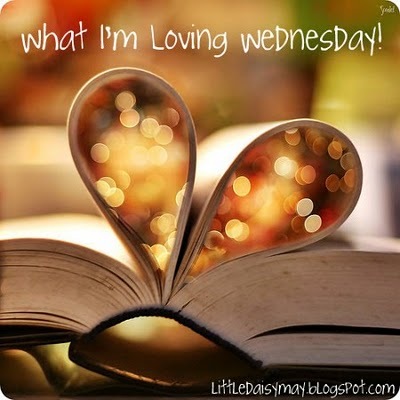 Little Mrs. Married: Lots to love this Wednesday! What I'm Lovin Wednesday! Link up here! Oh my goodness! So many things to love today!!! And yes! It is a work day! HAHA! But it's a good one! here is what i am lovin' today. The workday wasn't too bad at all! The phone was fairly quiet. Yay! After work my hubby took me on a mini-date! Sometimes when i have theatre, Brad will take me to dinner or something after work before rehearsal. I call those mini-dates. :) Anyway, tonight he was the one who had to be somewhere at 7:45. So we met at La Carreta for dinner after work. Then we headed to the mall. He told me i could spend $50 at Potterybarn for our anniversary! And i didn't even think we were doing gifts! How sweet! We had decided i'd pick something in Potterybarn or Williams Sonoma. I ended up getting these bowls from Williams Sonoma. I LOVE LOVE LOVE them!! SO CUTE! 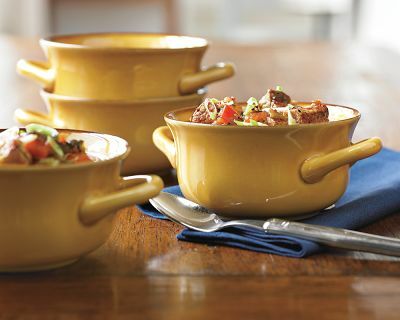 I have always wanted these kinds of bowls with the double handles. I found out these are dishwasher, microwave AND OVEN safe! I can make pot pies in them & everything! Love! 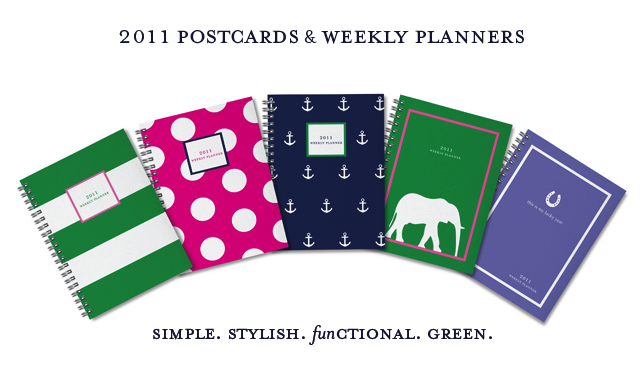 I'm not sure if you know this, but i am a huge calendar & planner freak! Love them & always have! (When i was in school, i loved my assignment pad. I know. Scary.) I always get more than my money's worth, too...i use the heck out of them! Today i decided to find the ones i wanted for 2011. I found the cutest COFFEE calendar for the side of our fridge. I love it. Brad is a HUGE coffee lover & he loved that i got a coffee one! HAHA. You can see it here - isn't it cute?! And i found the planner i want, too! Actually, i sorta can't make up my mind. I found these at Sarah Pinto. They are my faves & i was happy to see that it is for a good cause, as her son has a heart defect. You can read more about it at her site. Do not freak at the price tag... just know that it is a LOT less than the one i got last year (will never spend that much on a planner again!). But at least i use them like crazy!! I'm loving lots of things you're loving too...planners, the Panera Bread that will be opening in our town soon too, and Pottery Barn! the planners are so cute! I would get the one with the anchors on it for sure! I am so inlove with those bowls!!! I want to get some for myself now! I love calanders too..my sisters and I love the Vera Bradley Planners, we all get each other one for christmas and we always pick the patters we like the best, that way if we don't like the one our sister bought us we can just trade ha!! You have been dying for a Panera Bread near you! Congrats to finally getting one wooohhhooo! P.S. Go with the GREEN!!!!!!! When Panera opens we are SO THERE! Your planner posting totally appeals to my heart. JEALOUS! I love those bowls. I am a huge planner/calendar addict. I have 3 planners, my favorite being my MyAgenda. I'm working on designing a calendar from Shutterfly and I'm excited! The pink polka dot planner is def cuter. 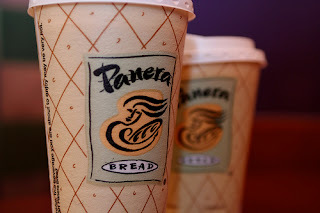 And hooray for Panera Bread! I'm going there tonight for my craft night with friends. Favorite! Oh... and I have a Panera Bread cookbook... but I've never made anything from it yet.